Ildefonse is a free horror game developed by a small Portuguese indie team and one that tries to escape the worn out template that was made popular by Slender. Instead of collecting ´X´objects for no reason whatsoever, Ildefonse has a storyline and one amazingly eerie location for the player to explore, as well as a mystery to solve. The game is set in 1977 and the player is a lawyer that was hired to collect the testament papers from Mr. Ildefonse’s house. However, in 1935, Mr. Ildefonse was betrayed by his wife, who then fled with their children, driving him crazy and on a rampage against his employees. The letters scattered through the house complete this horrifying story, but we’ll learn that the house holds a lot more secrets than mere letters. The first thing proving that Ildefonse actually had a lot of attention during development is the beautiful visuals. 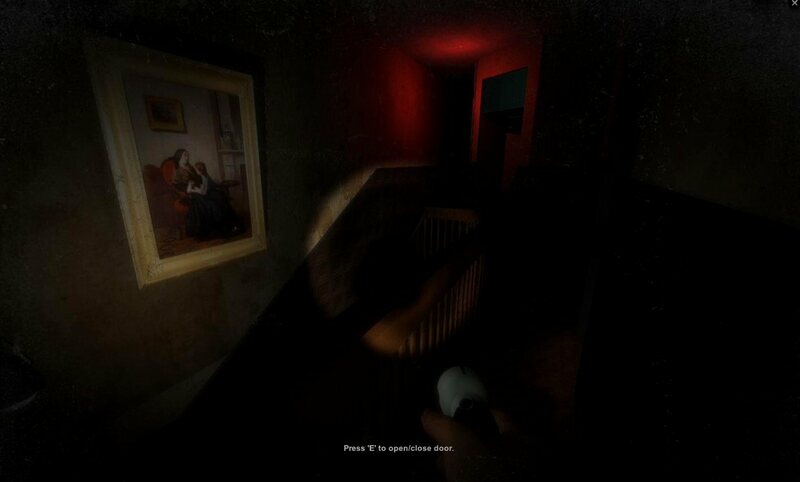 The lighting is amazing, textures are of rare high quality for a free horror game and the whole setting is so realistic that a small dark corridor is enough to give us goosebumps. The way the light dims to adapt to the changes is also unusual, as well as the addition of a body model for the main character, complete with a hat. While the game is scary enough based solely on the amazing quality of the natural sound effects (dynamic footsteps, sound reverb, protagonist breathing and coughing), there are a few scary surprises along the way that would teach every Slender clone a thing or two. The admitted inspiration from Japanese (The Ring), Korean and Spanish ([REC]) movies shows, but luckily it shows in a great light. Ildefonse won a special place among our favorite free horror games compilation. It’s technically proficient, has a mysterious storyline to follow and avoids as much as possible the plague that are jumpscares. If you love playing horror games on your PC (and Mac and Linux versions are also available), then this is absolutely recommended.